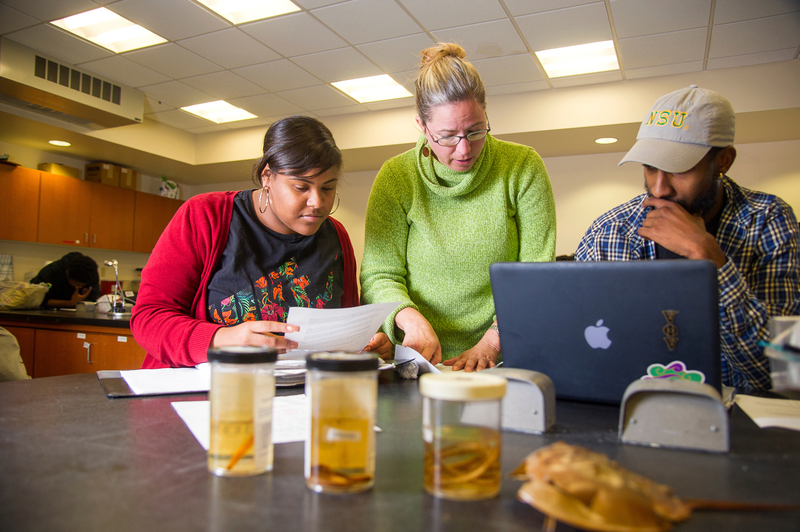 The NSU Biology Department is one of the largest at Norfolk State, with nearly 300 majors and 20 faculty and staff. Our dedicated Teacher/Scholars strive to develop each student’s ability to discover, evaluate and communicate knowledge, making informed ethical decisions while nurturing an understanding of interdependencies with the environment. Through their research and outreach, biology faculty members work to advance knowledge and encourage creative activity that can lead to the discovery of new solutions to significant global and humanitarian problems. This discovery process is integrated into the educational experiences of our students through novel course-based research projects. The department is also dedicated to providing leadership and building partnerships resulting in public outreach and community development.